Some people do take their own sweet time to bathe, and even more so after a particularly long and difficult day at work. Having said that, if you know of a lady in your life who takes way too long to shower in the mornings – or whatever time she chooses to do so, then the $5.99 Queen of the Shower Cap would make plenty of sense. It is ideal not only for children, but also for the young at heart and for moms who would like to humorously display their rule over their chaotic kingdom. 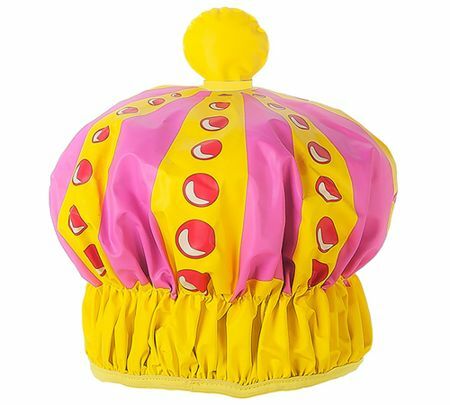 Of course, other than the honorary queen title, it is also ideal for keeping hair dry in the bath or shower.